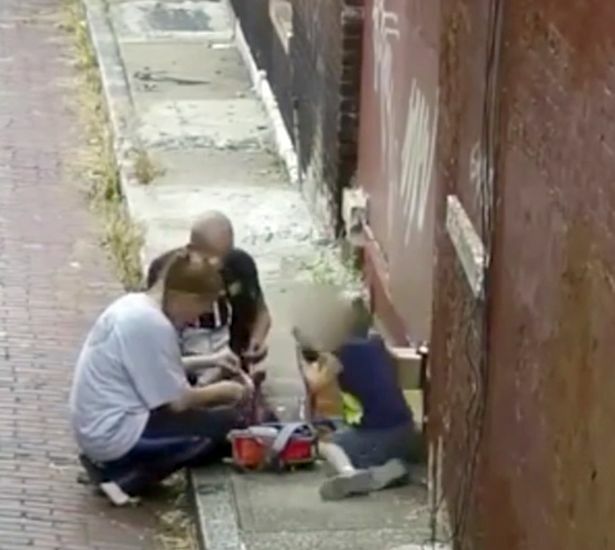 A mother has been caught on a CCTV camera injecting heroin in front of her four-year-old son. 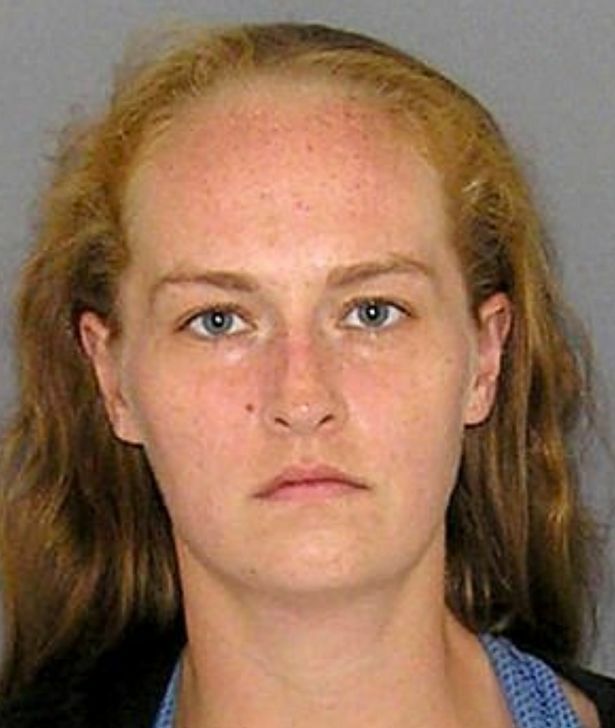 Lauren Story, 29, appeared before court the first time yesterday charged with endangering a child and two drugs offences, WLWT5 reports. She was arrested after the footage emerged of a man and woman shooting up in an alleyway near in broad daylight. The woman, who is alleged to be Story, then hands the boy a phone to play with before injecting the illegal substance. After about 90 seconds, the couple get up and walk away- leaving the young boy to run after them. Police said the footage was enough to identify Story and confirmed she was carrying four syringes and a tourniquet when she was stopped by the authorities. Judge Tyrone Yates said Story, who denied the charges, could be released on a tag to go into treatment- while her child is being placed into the care of a relative. Story now has an outstanding sentence of 29 days for trespassing and has been told that she can have no unapproved access to him. The man who was seen in the video has also been arrested, but his name has not yet been released by Cincinnati Police. We hope they can both get the treatment they clearly need.